Yesterday, Sony officially released the Xperia Z5 in North America - not in the US, but in Canada. At the moment, Bell is the only Canadian carrier that's selling the new handset, in either black, or white, asking 199.95 Canadian dollars for it on contract, or 649.95 Canadian dollars off contract (that's just $496 in US dollars - which is a pretty great price, if you ask us). The Canadian Sony Xperia Z5 is similar to the handset that's available in other parts of the world, thus having a water-resistant design, a fingerprint scanner, a 5.2-inch 1080p display, and a 23 MP rear camera with a new image sensor. The smartphone also features an octa-core Qualcomm Snadpragon 810 processor, an 8 MP front-facing camera, 3 GB of RAM, 32 GB of internal memory, microSD card support, and a 2900 mAh battery. Android Lollipop is on board, but that will soon be updated to Android 6.0 Marshmallow. Until our Sony Xperia Z5 review is ready, you can check out our Xperia Z5 unboxing. Sony will also release the Z5 Premium in Canada, but we don't know exactly when that's going to happen. As for the US, you can currently get the international variants of Xperia Z5 and Xperia Z5 Compact via third-party retailers, unlocked (see here and here). They work fine if you're using AT&T, the only thing you'd miss out on is if AT&T starts up wifi calling soon. I had one imported through Clove.co.uk. Came to about $580 even after international shipping and conversions. Yeahhhh boy! The competitive pricing is a win too! Okay, as a US customer, how can I buy this from them??? I had one imported through Clove.co.uk. Came to about $580 even after international shipping and conversions. Just checked, it would be 707.. how did you get it so much cheaper? Did you convert the price with VAT included? That's only charged to orders within the UK, or maybe in the EU. A US order would definitely not be charged VAT. Why it is so hard for Sony to enter the US market? 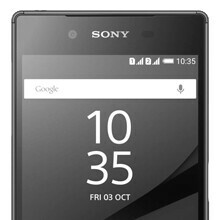 On the official Sony mobile site, only Z3 is shown there. They must have soome problems with these US Carriers since so far there is no US Carriers selling the newest Sony smartphone. My Z3v still has Andriod 4.4.4. Sigh.